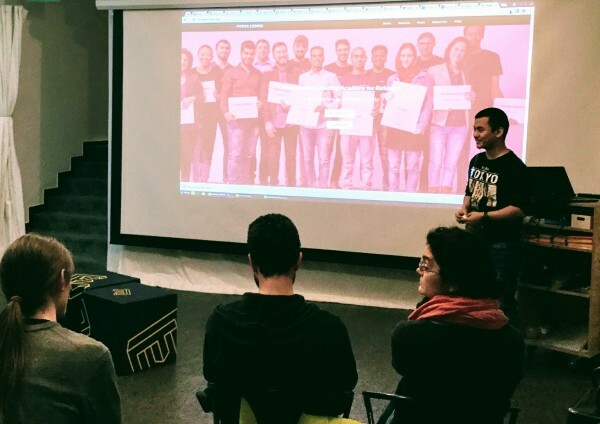 Together with over 400 sites around the world, we celebrated Open Data Day 2018 - the annual global celebration of open data - in Bern, Switzerland on this first weekend of March. Impressions in brief. 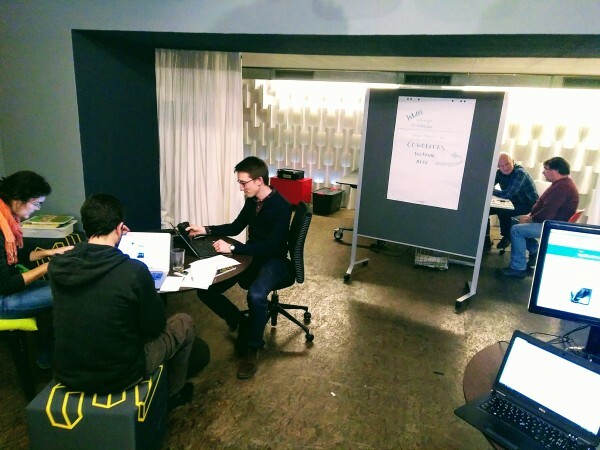 On Saturday we got together at the Effinger underground lab, ducking out of the snowstorm to hang up our coats and warm up to workstations and tablets running with open data projects, hot drinks and snacks. Our 15 participants made a circle. Introductions made, we took a look at projects like the open finance visualisations started at past Bern events, then split into three groups for discussion and hands-on activity. 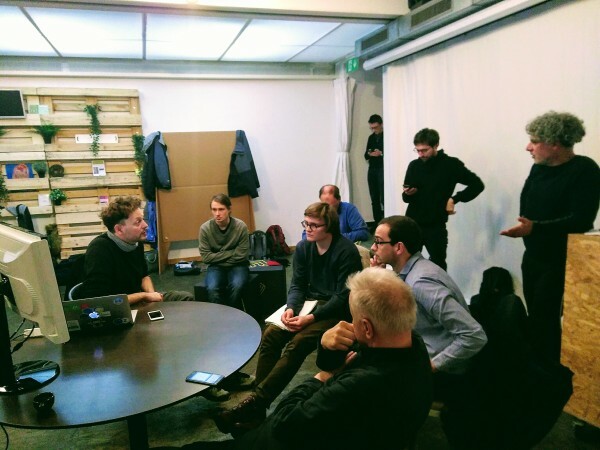 Led by @andreasamsler, one group discussed the sociopolitical and business landscape, talked about the Fun and Profit of Open Data, and brainstormed improved ways of building up the network in Switzerland. Plans were discussed for this year's annual Opendata.ch conference and work going on in various channels. One result was an updated community calendar. Happy #OpenDataDay everyone! If you are in Switzerland in 2018, save - at least - the following dates https://t.co/SptOYg5Goa An open data related event is missing? Mail to info@opendata.ch - thanks! 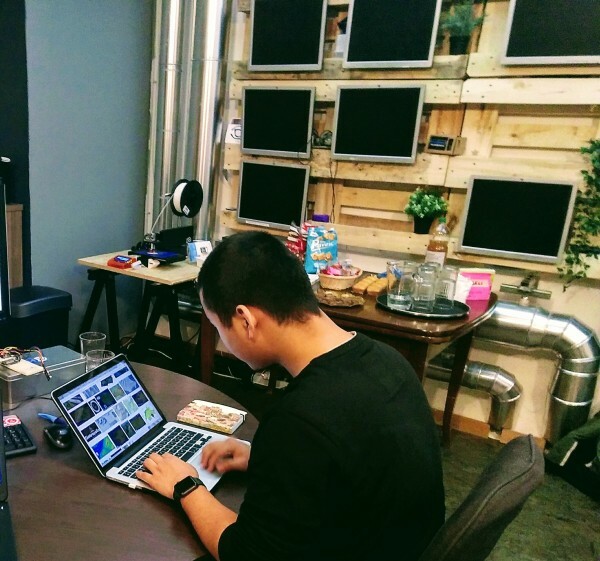 In the Makers corner, we booted up Raspberry Pi's, converted elevation models to 3D printed "tangible statistics", worked on smart+open city initiatives, and collected sensor data on open networks - producing a CSV recording of our ambient sound levels. 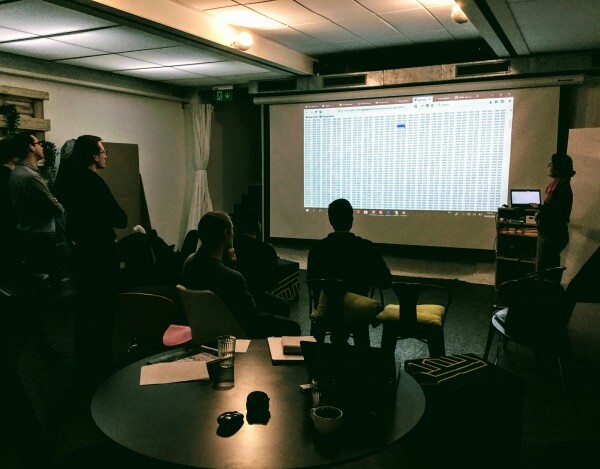 The third and quietest group was busy polishing their applications and data visualisations, getting ready to release early, and release often. We reconverged after a good hour to hear @mmmathew present his project water-fountains.org, an open data story in the making, and something you should try out now and follow as it develops! We had @rosacastilloPhD walk us through a compelling climate data analysis and visualisation, from the deep end of filtering meteorological tables, to bias-challenging insights and publication formats. And we got introduced by @novisadvenis to the awesome Powercoders IT academy. We traded stories of how to start a project with serious impact (YouTube), and shared life and data lessons (GitHub) in connecting to people and technology. Big thanks to everyone who came out and contributed in support of our little big occasion! More links and a chance to share feedback are on our forum thread - and check out #opendataday for more coverage, like an Open Data Institute post featuring several quirky Swiss datasets. Follow @okfn for more international news, and @opendatach / #opendatach for the latest open data news in Switzerland.